So I own exactly one true romance novel, in the Romance Writers of America sense of the term romance novel. Like, bought from a grocery store romance novel. Not like…Jane Eyre or something.1 You know what I mean. 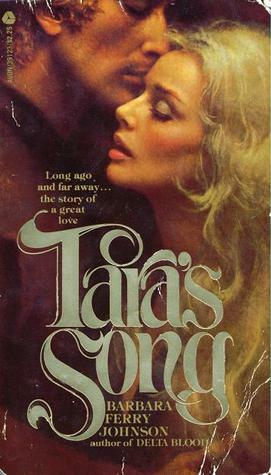 That book is called Tara’s Song, and it’s apparently what’s called a “bodice ripper.” I bought it in a train station in (I want to say) Montana? Basically I was in a train station on the train from Portland to Saint Louis, and we stopped at a station and in the bookstore, there was a romance novel with my name on it so I bought it and proceeded to read it. There’s no point to this post except that I was reading the Neverending Story and the thrill that Bastian gets out of being seen in his book is like an amplified version of the thrill I got out of seeing my (not super common) name in the title of a book in a train station in the middle of nowhere in the middle of the night. This would be a better story if the book was remarkable or good. Sadly it isn’t. The end. 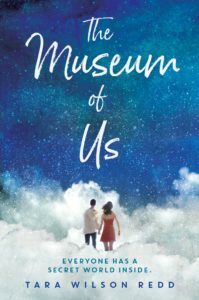 Me: But do not all novels have their origin in the romance? Also Me: STFU self. Also no. Previous Previous post: Cute Cute Books!